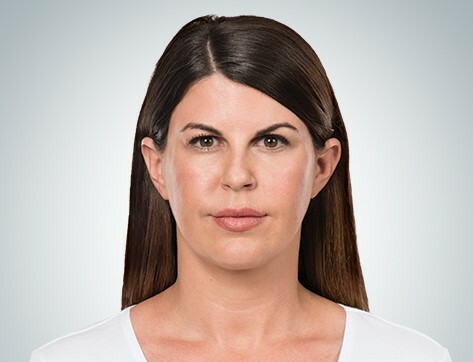 KYBELLA® (deoxycholic acid) injection, is the first and only FDA-approved injectable drug that contours and improves the appearance of submental fullness due to subcutaneous fat under the chin. 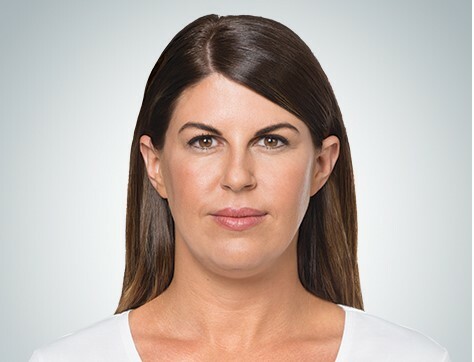 KYBELLA® is indicated for improvement in the appearance of moderate to severe fullness associated with subcutaneous fat in adults for under chin area. Submental fullness, sometimes referred to as “double chin,” is a common, yet undertreated facial aesthetic condition. It can detract from an otherwise balanced and harmonious facial appearance leading to an older and heavier look. Submental fullness can impact a broad range of adults, including both women and men, and can be caused by aging, genetics and weight gain. To reduce submental fat, KYBELLA® is injected under the chin using a very small needle. KYBELLA® is a non-human and non-animal formulation of deoxycholic acid, a naturally-occurring molecule in the body that aids in the breakdown and absorption of dietary fat. When injected into the fat beneath your chin, KYBELLA® causes the destruction of fat cells. Once destroyed, those cells cannot store or accumulate fat. After your desired results are achieved, retreatment with KYBELLA® is not expected to be necessary. How Many KYBELLA® Treatments Do I Need? Patients may receive up to six single treatments administered no less than one month apart. Each patient is different in their needs. We will advise how many treatments are needed at your consultation. What are the Side Effects for KYBELLA®? The most common side effects with KYBELLA® injections are swelling, bruising, injection site pain, numbness, and/or redness, all which subsides within 2-3 days up to 2-3 weeks. What Happens Before KYBELLA® Treatment? The patient should consider stopping all medications, vitamins and herbal remedies that thins the blood. Stopping these medications will help to eliminate any bruising which may occur at the injection sites. What Happens After KYBELLA® Treatment? As for the recovery itself, there is an inflammatory component immediately after the injection. There is some swelling and some tenderness for a few days because the body is cleaning up all cellular debris and creating a bit of contraction in the skin. Bruising may or may not occur.